The norovirus and rotavirus are viruses that come from the same virus and can cause painful and severe symptoms of stomach flu. However, the similarities end there. This article aims to show just how different these two are. The norovirus is a contagious virus that is considered the most common cause of gastroenteritis. It can infect an individual from any age group. A norovirus infection is caused by consuming fecally contaminated food or water improper food handling, particularly on dirty kitchen surfaces. It also transmitted through person-to-person contact and exposure to vomit-stained surfaces. Some norovirus outbreaks have also been attributed to consumption of raw vegetables and undercooked shellfish. A norovirus infection can cause severe cases of watery diarrhea, stomach flu, vomiting, and nausea. A person exposed to the virus usually develops these symptoms within 12 to 48 hours of infection. Fever, fatigue, muscle pains, and chills may also set in. An estimated 300 deaths per year are attributed to the norovirus, largely composed of young children, senior citizens, and people with weak immune systems. Symptoms can only become fatal in these age groups if dehydration is left untreated. While a norovirus infection is unpleasant, it is rarely a serious condition. People exposed to the virus can make a full recovery within a few days. 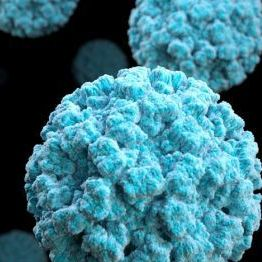 The norovirus is the cause of about 90% of gastroenteritis outbreaks in the world and may be the cause of half of all foodborne outbreaks of gastroenteritis in the US. The rotavirus is considered the leading cause of diarrhea in infants and young children. Almost every child in the world is exposed to it at least once by the age of five, while adults are rarely infected. Each time a rotavirus infection sets in, an immunity to the virus is developed, with subsequent infections growing less severe. The rotavirus causes rotaviral enteritis, a disease that is mild to severe in nature. It can cause symptoms such as vomiting, watery diarrhea, nausea, and a low fever, which can appear after two days of exposure to the virus. Dehydration is the most common cause of infant death as a result of this virus. 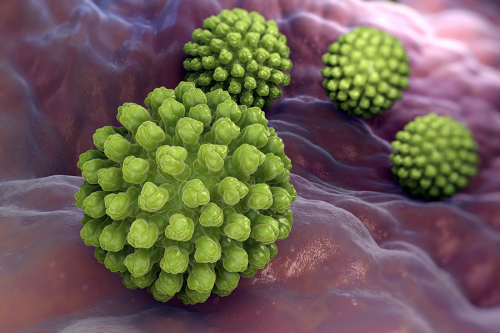 The rotavirus is spread through contact with contaminated surfaces, hands, or objects, and possibly the respiratory system. The treatment of an acute rotavirus infection is done through management of the symptoms, especially dehydration. If left unchecked, the infection can be fatal. Oral rehydration therapy is applied as treatment, where small amounts of salt and sugar are given to a child. The most severe infections require hospitalization where lost body fluids are replaced by intravenous therapy. So what’s the difference between norovirus and rotavirus? While both viruses can cause gastroenteritis and the same symptoms, they differ in several aspects. A norovirus can infect a person of any age while a rotavirus usually causes problems to children under 5 years of age. Currently, there are no available vaccines that can help prevent norovirus infections, but there is a vaccine available for the rotavirus.